img. 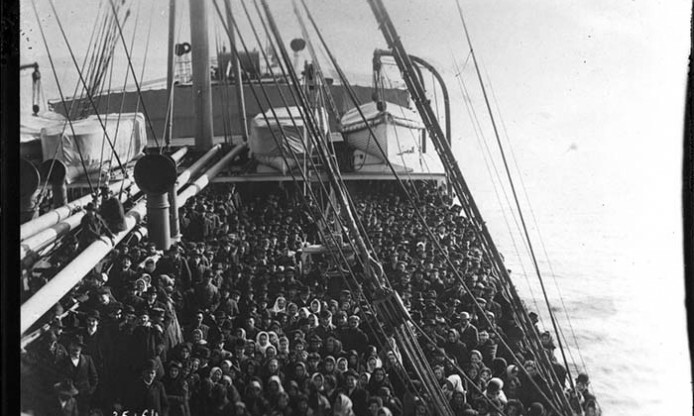 : The deck of a ship full of emigrants arriving at Ellis Island, 1913, Agence Rol, Bibliothèque Nationale de France, Public Domain via Europeana. Today’s Europeana Photography Picture in Focus is a photograph taken on board a ship arriving at Ellis Island in the early 20th century and commented by Manuele Buono, one of the founder members of Photoconsortium.